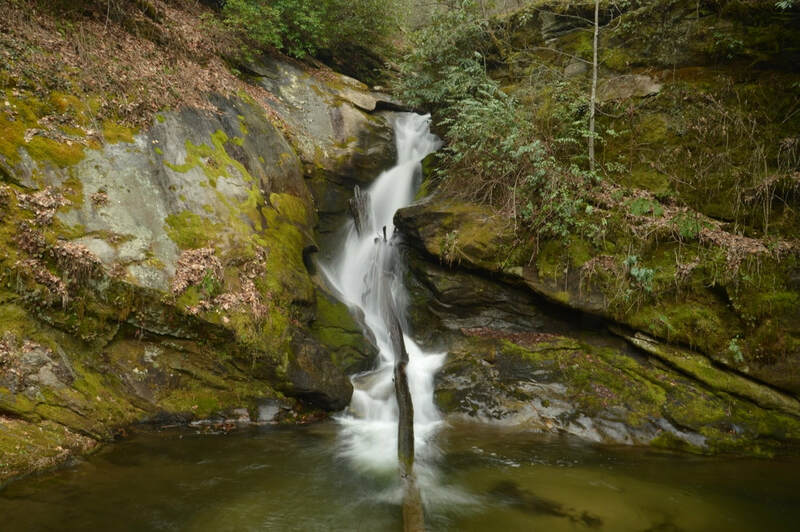 Waterfall Info: From the bottom, this is the first waterfall on Darnell Creek. A separate 15-foot cascade lies above the waterfall, unseen from the base. Access Info: This waterfall doesn't require any walking if one has a 4WD vehicle. The falls is located at the end of a rough side from Darnell Creek Road (FS 150). If you've only got a regular vehicle, a short, level walk along the side road will bring you to the falls.